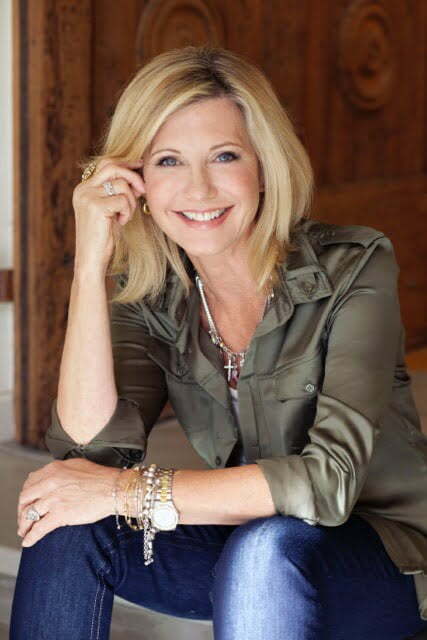 Olivia Newton-John is an internationally recognised superstar. But Australians have a special and enduring affection for Olivia not only for her talent, but also for her courage and commitment to a range of important issues. Her extraordinary career as a singer, songwriter and actor spans several decades. She has sold 100 million records, topped the record charts multiple times, garnered four Grammy awards and starred in one of the most successful musical films of all time – Grease. Her career continues with successful tours and appearances, recordings, TV and film roles. Alongside her career, Olivia has championed environmental issues and animal rights, raised funds for humanitarian causes, and actively promoted health awareness. Since surviving breast cancer in 1992, she has played a prominent role in encouraging women in the early detection of breast cancer. 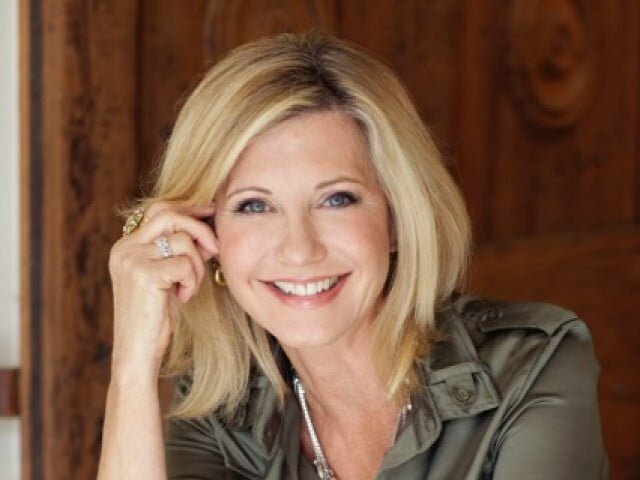 In Australia, she partnered with Austin Health and successfully raised millions of dollars to build the Olivia Newton-John Cancer and Wellness Centre in Melbourne which opened in June 2012. As part of her fundraising, she led a team of fellow cancer survivors, celebrities and Olympians on a three-week, 228 km. walk along the Great Wall of China. The Centre provides a comprehensive range of services and facilities for cancer treatment, education, training and research including a wellness center for the mind, body and spirit. Olivia has been inducted into the prestigious Australian Music Hall Of Fame. And in 2010, she was awarded the Medal of the Order of Australia from Governor General Quentin Bryce. Asking me to name my top 5 favorite places to visit in Australia is difficult as I love so many! 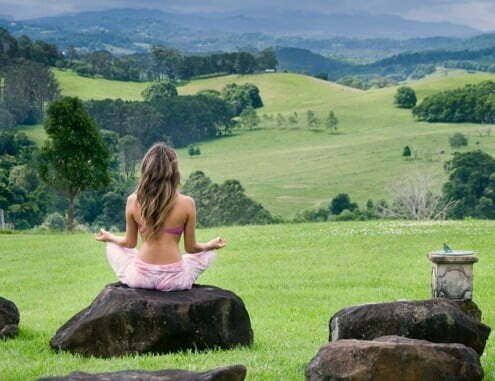 I have to say my number one favorite is Gaia Retreat and Spa – an amazing healing property in the hinterland of Byron Bay, of which I am a very proud co-owner. When I spend five or more days there with nurturing treatments, relaxation and great food, I feel completely restored. Five days there is equivalent to a month off! I am able to find my perfect balance and re-centre myself, especially during my busy touring schedules. Many years ago I did a TV special, filming all around Australia. 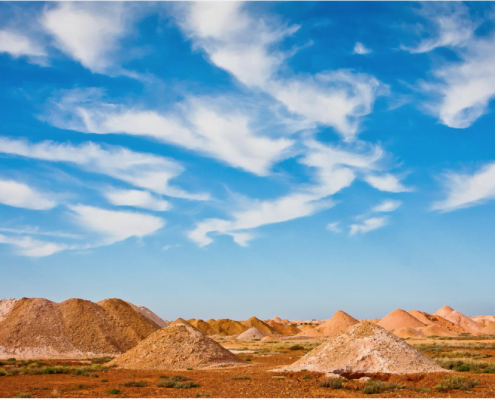 One of the places that fascinated me and I really loved was Coober Pedy. It is a unique and quirky place with many colourful characters, that are hard to forget. 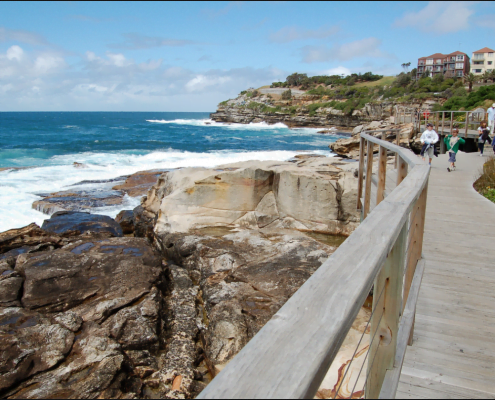 I absolutely love the Bondi to Bronte walk – it is simply stunning. I feel like a world away there. It has a great combination of beaches, parks and spectacular views which makes it one of my favorite walks along Australia’s coastline, another being Tallow Beach – Byron Bay. 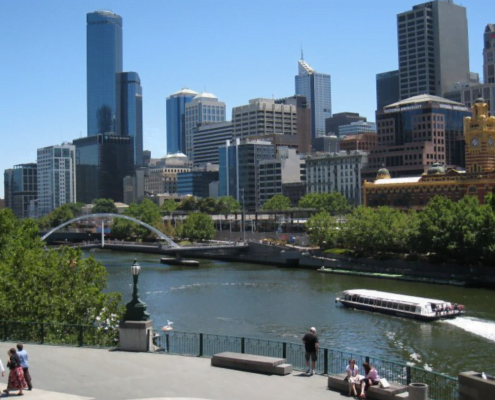 My old home town Melbourne, still holds many fond memories for me especially as my mum lived there and most of my family still live there. I stay at the gorgeous Lyall Hotel, a warm cosy boutique hotel which is privately owned and offers grand hotel service and facilities on an intimate and personal scale. 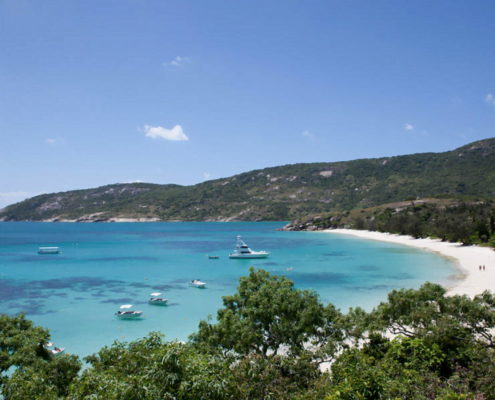 Last but not least is the tranquil Lizard Island in north Queensland right on the Great Barrier Reef. It is one of my most cherished little Aussie islands, boasting powdery white beaches, and amazing snorkeling on beautiful fringe reefs. I can’t wait to take my husband John there, as it has all the elements he loves: stunning nature and Australia’s amazing botanicals, all surrounded by ocean. *I always have a warm scarf with me to keep my neck and chest warm and to cover my eyes in the plane for sleep.